We have now received reports that EA will not be outdone. EA itself is not free from controversial marketing campaigns. It once sent brass knuckles, a weapon illegal in most states, to games press to market its Godfather 2 game. It also created a “sin to win” campaign for Dante’s Inferno in which gamers commit “sins” to win goodies from EA. But its latest marketing stunt for Battlefield may have gone too far. 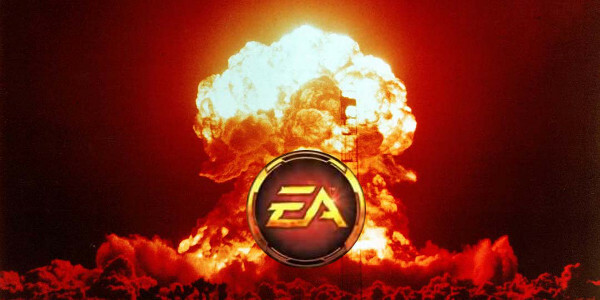 Reports from FBI and Homeland Security have come in that EA has stolen a nuclear warhead and is holding the national capital hostage unless EA sells 10 million preorders of its next Battlefield game. In addition to the preorders, they will continue to threaten the national capital unless the game sells an additional 50 million units in the first month. National security teams are scrambling to track down the Wilson and the warhead. If they can’t find Wilson and the Nuke, they are unsure how they will be able to scramble enough people to purchase that many copies of a yearly rehash of yet another FPS game. This entry was posted in Controversial News and tagged EA, Marketing, Nukes. Bookmark the permalink.